Sheila Kramer holds a B.A from Truman University and a M.F.A from Kent State University. She also has a M.A from Teachers College at Columbia University. 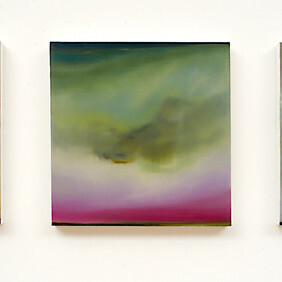 Her paintings are inspired by the constant changes in light and changes in weather. She has participated in several artist residency programs in including Tyrone Guthrie Center in Annaghmakerrig, Ireland; Saltonstall Foundation in Ithaca, New York; Edward Albee Foundation in Montauk, New York; David and Julia White Foundation, Costa Rica; and the BAU Foundation in Otranto, Italy. Kramer’s work is included in the World Bank Collection, Fidelity Investment Collection and numerous private collections. She teaches both art and science and has extensive administrative experience. Kramer lives and works in New York, NY. She is also a licensed pilot.